Pennsylvania M6900 includes (1) hinged ramp. Flat portion is 30"x30" or 36"x36". Side rails are live. Overall size is 30"x36" or 36"x42". M6950 includes flat platform with (2) built in ramps. Adjustable leveling feet. Flat portion is 30"x30". Live side rails and integral ramps have overall dimensions 36"x 48"
Pennsylvania 6900 series low profile scales are clean compact low profile design and feature legendary rugged construction. Ideal for use with Pennsylvania Digital Weight Indicators. 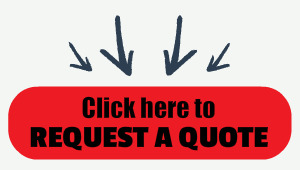 Optional stainless steel construction is available. 6900 and 6950 Barrel Scales are ideal for Laundries and plants where space is at a premium - low 1-1/2" profile and 'live' side rails for small footprint. Ideal where space is tight such as Commercial LAUNDRY applications, Barrel and Drum weighing non-portable M6900 floor scale includes 'live' side rails for oversize or bulky items and compact ramp. Platform sizes with flat weighing surface have standard 30 x 30" and 36 x 36" areas + optional models up to 48 x 60". 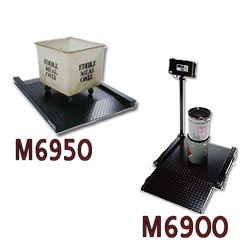 M6900 is a permanent low profile platform scale. It includes (1) hinged ramp. Flat portion is 30" x 30" or 36" x 36". Side rails are live. Overall size is 30" x 36" or 36" x 42"
M6950 is a permanent low profile scale with (2) built in ramps. It features adjustable leveling feet. Flat portion is 30" x 30". Live side rails and integral ramps have overall dimensions 36" x 48"